1) What are leading barriers to clinical research? Which ones might be addressed by connecting members of the lung cancer community online? 2) Can patients & caregivers share data, e.g., Patients Like Me, to facilitate better understanding & generate more interest from pharma companies in studying lung cancer patient groups (potentially narrow ones like those with ROS-1 rearrangements)? 3) Can we lower barriers by making it easier for patients to learn about & travel to participate in trials? Share air miles to help people travel for trials? Offer housing as a network? Telemedicine visits to minimize travel? Below is an introduction to tweetchats, #lcsm and how to participate. Hope you will consider participating! On Twitter, the hashtag #lcsm stands for Lung Cancer Social Media. People use that hashtag in tweets every day to flag tweets that talk about lung cancer treatment, research, funding, or patient issues. An #lcsm tweetchat is a set time when people interested in lung cancer are all on twitter at the same time with a moderator (for #lcsm, that’s Dr. Jack West) to chat about lung cancer. The tweetchat lasts one hour. All tweets that include the #lcsm hashtag during the specified hour will be included in the tweetchat transcript. Hundreds of #lcsm tweets will be tweeted during the chat. 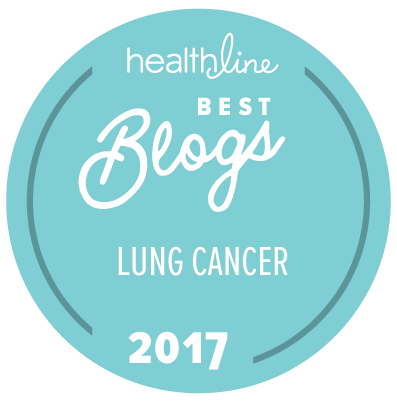 Participants in the tweetchat have included researchers, oncologists, palliative care specialists, surgeons, advocates, counselors, caregivers, family members, and patients who are working or coping with lung cancer. When and where does the #lcsm tweetchat take place? The next #lcsm tweetchat will be held Thursday, September 26, at 8 PM Eastern, 5 PM Pacific. After that date, the intent is to hold #lcsm tweetchats every other Thursday at that same time (8 PM Eastern, 5 PM Pacific). What will people talk about in the tweetchat? Most of the chat will focus on the questions posed by moderator Dr. Jack West. He usually posts the topics on cancergrace.org several days before the chat. You will also see tweets that introduce participants and acknolwedge the presence of other participants. Occasionally someone will pop in and ask whatever question is on their mind, but due to the rapid pace of the chat, questions unrelated to the topics might not get answered. How do I participate in a tweetchat? 3. Click on “Sign in to get an in-page tweet box” just below the white box, then click “Authorize App” on the next screen to login to Twitter. You’ll then be redirected back to the tchat.io page. This will allow you to type your tweets in the textbox at the top of the page, and the #lcsm hashtag will be automatically added to the tweet to make sure your tweet gets included in the chat. 4. Click on “hide retweets” (just below the blue “Tweet” bar). Many participants will retweet parts of the chat; hiding retweets will make it easier to identify tweets with new content. Everyone introduces themselves at the beginning. Those who are just lurking enter a tweet that says only “#lcsm” to announce their presence. Dr. West then presents topics for discussion and assigns each topic a number (T1, T2, etc.). Once he tweets a topic, people respond to it with comments and questions. It helps others track the conversation if you put the topics number at the beginning of your tweet. Janet, thanks for bringing me (us) up to speed. You have a real gift for explanation. Hope I can join the conversation! I’m glad you joined in the chat, Linnea. Hope we see you there often! Thank you. Sorry I missed it. Look forward to joining the next chat in 2 weeks. We look forward to having you, abdavison. Thanks for reaching out, Laronica. I’m enjoying working with you.